The PCU Series offers process control functionalities for batching, setpoint control, resettable dual totalizer and valve override control. 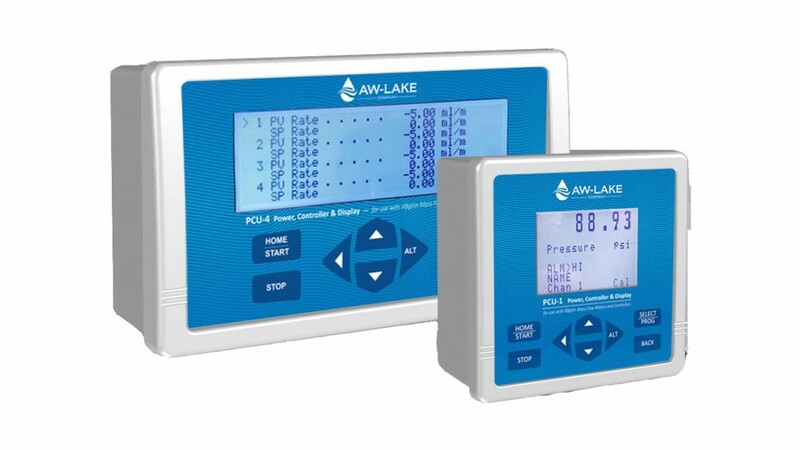 "AW-Lake's new PCU Series of Controllers satisfies our customers' need for a local display of our Vogtlin line of thermal mass meters and controllers," explains Mark Iverson. "The PCU Controllers also provides users with the option to read different process variables remotely from a computer or PLC." The PCU Controllers operate from 15 to 24 V DC and provide a variety of voltage or current outputs. Operating temperatures range from 32◦ to 104◦F (0◦ to 40◦C).